Constructed from laminated, straight-grained hardwood with a weather resistant finish. 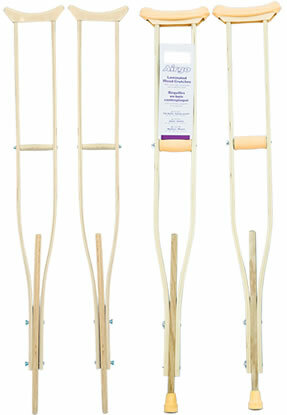 Pre-formed bows retain their shape while fitting crutch to proper height. Sold without or with accessories. Crutch tips, hand grips and underarm pads.